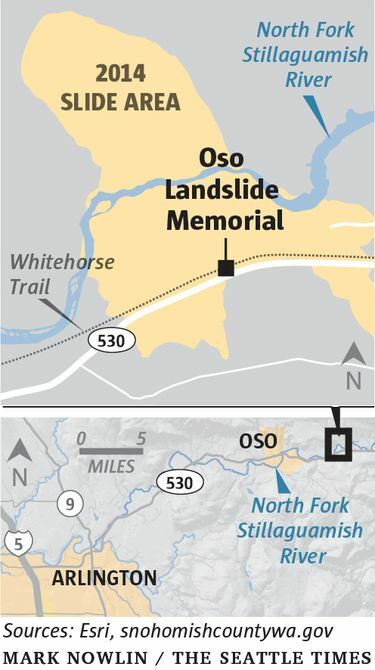 OSO, Snohomish County — Signs for the new “Oso Slide Memorial Highway,” a portion of Highway 530 near the site of the 2014 landslide, will be unveiled Friday during a memorial ceremony to mark five years since the disaster that killed 43 people. Families of the victims and community members will host a remembrance ceremony Friday morning near the former Steelhead Haven neighborhood, which was wiped out by the landslide. The ceremony will include dedications of the highway signs and a new mailbox sculpture. The Washington State Transportation Commission approved a resolution in February that renames a 23-mile portion of Highway 530 between Arlington and Darrington to Oso Slide Memorial Highway. Washington State Transportation Commission unanimously approved a resolution renaming a 23-mile stretch of Highway 530 between Darrington and Arlington. It will honor and remember the 43 victims of the mudslide. The signs will include the time — 10:37 a.m. — and date of the slide and the number “43” to represent the victims. The mailbox sculpture marks the 19 mail and newspaper boxes that formerly served as a neighborhood gathering site. The March 22, 2014, collapse of a hillside along the North Fork of the Stillaguamish River unleashed a devastating landslide that swept through the Steelhead Haven community. 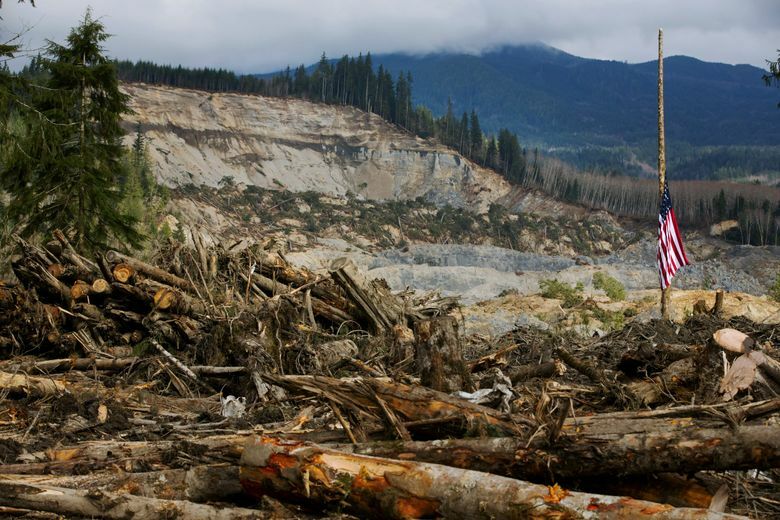 Survivors and others who lost family or property in the slide later sued the state and Arlington-based logging company Grandy Lake Forest Associates, claiming logging and construction of a cribwall and sediment on state land added to the risks posed by an unstable slope. The plaintiffs reached settlements totaling $60 million in October 2016.